A regular scalp massage encourages fresh blood supplies to flow to the scalp and feed the hair follicles. Tip your head forward and. using small, circular movements, massage your scalp gently with your fingertips for 3 to S minutes. Pay particular attention to the crow n and hair line. If hair is very dry. rub a few drops of Rosemary hot oil intensive (see page 265) onto your fingers first. Blow-drying, straightening, curling and using harsh shampoos all take a toll on your hair. So do a poor diet and other lifestyle factors, such as stress, illness, hormonal fluctuations, alcohol and smoking, and inadequate exercise or sleep. Coax your hair into healthier shape with a nutrient-rich diet and hair-care products that are based on herbs and essential oils specific to your hair type. Boost your intake of the following and start seeing results in weeks. Protein fortifies hair and promotes growth. Food sources: beans, dairy products, eggs, fish, meat and poultry. Iron oxygenates blood and boosts circulation in the scalp. Food sources: dried fruit, egg yolks, legumes, meat, leafy greens and whole grains. Omega-3s (essential fatty acids) prevent dryness and add moisture. Food sources: flax seeds, sardines, soybeans, walnuts and wild salmon. Silica strengthens the hair cuticle, boosting strands' elasticity. Food sources: cabbage, celery and oats. Vitamin A supports the health of the scalp. Food sources: leafy greens, pumpkins, carrots, capsicums and sweet potatoes. of shampoo should be sufficient; too much strips the scalp's naturally protective sebum (oil). To stimulate your circulation and enhance shine, rinse out shampoo and conditioner with cool water. If you use a hair dryer, turn down the heat setting. Ideally, let your hair air-dry naturally. Wear a hat to protect hair from drying and color-fading sunlight (especially if you have color-treated hair). Always remember to wear a cap when you swim in chlorinated pools. 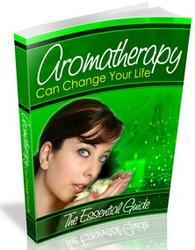 Stress and depressed spirits can cause dull, lifeless hair and, sometimes, hair loss. Learn to meditate, or take up yoga or another calming pursuit. Biotin (vitamin B7) maintains hair growth and may be beneficial for hair loss. Food sources: eggs, organ meats, dried fruit and molasses. Zinc is essential for skin and hair health and for balancing hormones. Food sources: meat, eggs, poultry, crab, oysters, brazil nuts and soybeans. • Wash hair gently with a mild shampoo. Vigorous scrubbing can damage hair and cause the sebaceous glands to produce too much oil. Lavender shampoo This mild, lightly fragranced shampoo lS suitable for all hair types. 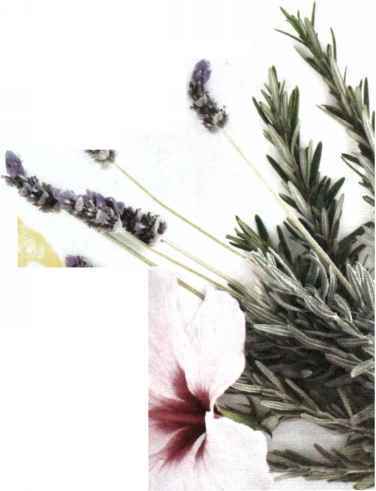 Lavender calms and tones the scalp and rosemary boosts shine. 1 Place dried herbs, zest and water in a saucepan. Bring to the boil, then reduce heat and simmer until liquid is reduced to V* cup (60 ml). Strain. 2 Combine herbal liquid and shampoo. Add essential oils. Store in a plastic squeeze-bottle. 3 To use, shake well and massage a tablespoonful into the scalp. Leave for 2 to 3 minutes before rinsing. Aromatherapy detangling spray This detangling spray keeps hair shiny and manageable during cold, dry weather or high humidity. The oils stimulate circulation to the scalp and balance sebum production. 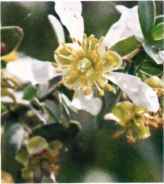 Jojoba is a shrub that's native to parts of California. Arizona and Mexico. After the banning of the importation of whale oil into the United States in the 1970s, jojoba oil (a liquid wax from the seeds of the plant | was discovered as a replacement. As a result of its very fine texture and skin nutrients, its application in skin and hair-care products was subsequently considered superior to that of whale oil. If your hair is normal, you'll want to keep il lhat way. Use a gentle SLS (sodium lauryl sulphate|-free shampoo. SLS is the detergent ingredient in most shampoos and dishwashing liquids and it can irritate the scalp. Reduce static with a fragrant herbal rinse and keep hair manageable and smooth w ith \romatherapy detangling spray (below). 1 Add oils to water and pour into a pump-spray bottle. Store in a cool, dark place. 2 To use, shake well and mist hair 2 to 3 times, then use a comb or fingers to style. Fragrant hair rinse Nettle is restorative, horsetail is a rich natural source of silica, and sandalwood and clary sage add a lingering fragrance. Apple cider vinegar restores the scalp's natural pH balance. 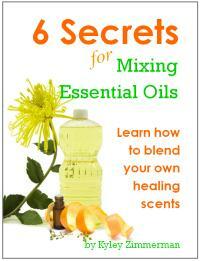 1 Place herbs, oils and water in a bowl. Cover and steep till cool. Strain. Stir in vinegar. 2 To use, pour through hair as a final rinse after shampooing. Herbal hair rinses accentuate your hair's natural color and make any highlights appear brighter. If your hair is permed, chemically colored or very dry, patch-test a small amount of hair first. 1 Place water and dried herbs of your choice in a saucepan. Bring to the boil; remove from heat. Cover and steep for 1 hour. Strain. Add juice, wine or vinegar. Pour into a plastic spray bottle. 2 To use, spray through hair after shampooing. Comb through, squeeze out excess, but do not rinse.